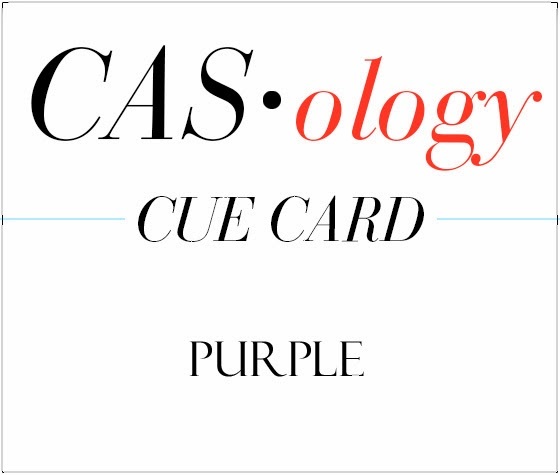 This week's CASology Cue Card is Purple! I discovered a lot about my true feelings about purple this week. I use it all the time. In rainbows. I almost never use it outside of a rainbow. I really don't like it very much on its own. So I challenged myself to make a card that I would still be proud to give to someone. In the end I decided to shift the focus a little from the colour to the interesting way I've attached this charm to the card. I punched a 1/16th inch hole in the charm and in the white panel, and used silver twine to attach it. That is the only place it attaches so it is free to move. Now it's your turn! Do you love purple? Or not? Either way, there are lots of creative ways to use it - take a look at what the rest of the DT did with it! Clean, crisp and all around perfect Ardyth! Wonderful Ardyth! I'm not a big fan of purple but think I'll have to give it a try after seeing all of your amazing DT creations. I always thought a card could never be complete without a sentiment. You proved me wrong! This card is sheer perfection! LOVE! So wonderfully understated Ardyth! Seems not too many people like purple on it's own! I truly love purple, and I love your card. It is perfection. 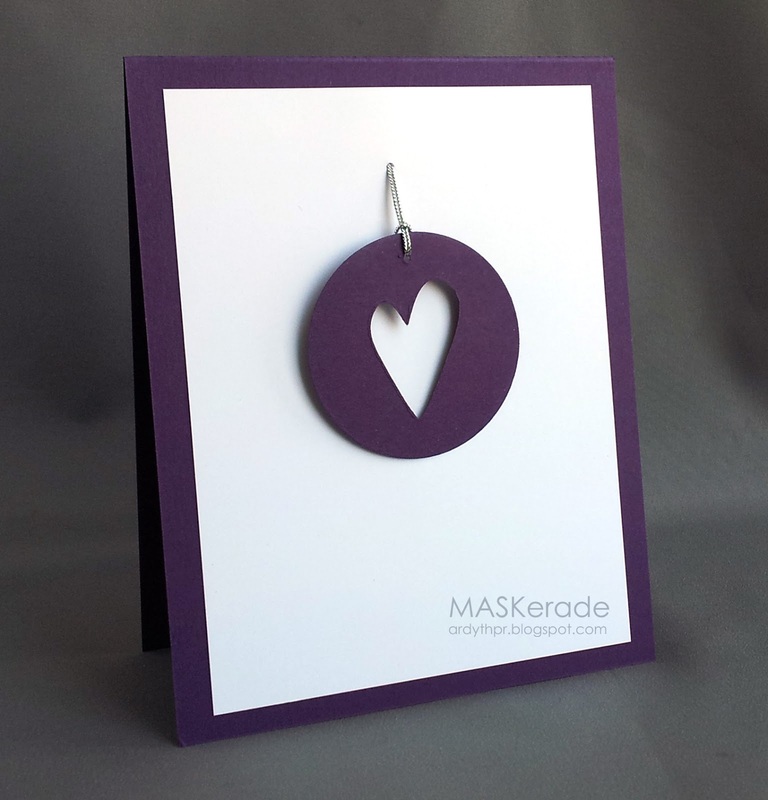 I love purple but have never made a 'purple' card; perhaps I ought to! Your card: stunning!! WOW! I LOVE this gorgeous purple card! WOW!!!! !stunning design ! Wow! A complete CAS card! Love the way you added the charm in your card without any sentiment! Perfect take on Purple! No other word comes to mind for your card but MAGNIFICENT. I love purple and lilac and do use it. I LOVE purple Ardyth and just have to say that this card is a triumph. It shows that small designs can have a big impact. Stunning! Wow, this card has such impact! I love the heart charm (it wouldn't look half as good in red or pink - the purple is so right for it, so dramatic!). Love this, Ardyth. I've been admiring it for quite some time, and wondering how you attached that charm. Just brilliant. Perfectly CAS and lovely, Ardyth! Love, love, love this...even if it's purple! Your design trumps the colour big time! Ardyth, a simply beautiful card! 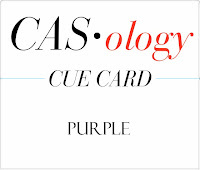 I don't typically reach for purple, either...but I might in order to CASE your awesome card! You may not like the colour but you sure showed it some love here! !